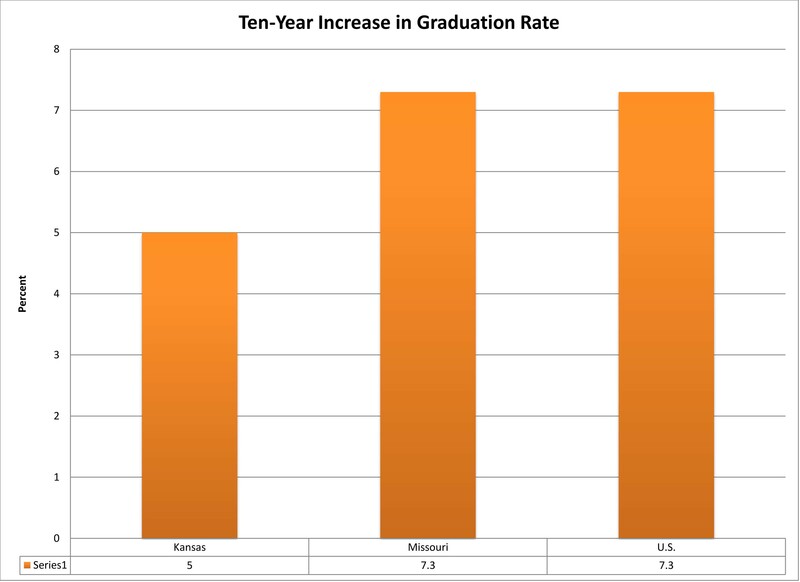 Graduation rates in both Kansas and Missouri exceed the national average, according to a report released late last week by Education Week. Besides providing information about national trends for all enrolled in public schools, the report includes a special focus on Hispanic students. Young people from this minority group will make up a fourth of all students in less than a decade. In Kansas, the graduation rate for Hispanics — especially for young men — is below average. These young people have a better than average chance of graduating in Missouri. However, a better than average chance for Hispanic students in that state still leaves well more than a third of them without high school diplomas. comes to success in high school and the transition to college and career,” according to Christopher B. Swanson, a vice president of the nonprofit organization that publishes Education Week. 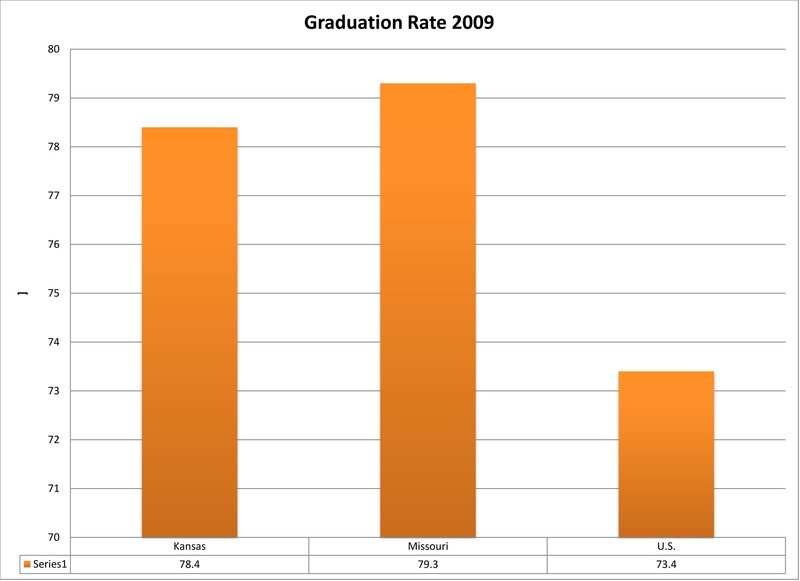 Reporting on the Class of 2009 (the most recent available information), Education Week showed a graduation rate of 78.4 percent in Kansas and 79.3 percent in Missouri. Compare these numbers to the national average of just over 73 percent. Because different states used different computation methods, the authors worked with the EPE Research Center to develop their own method of calculating how many students graduated in each state. 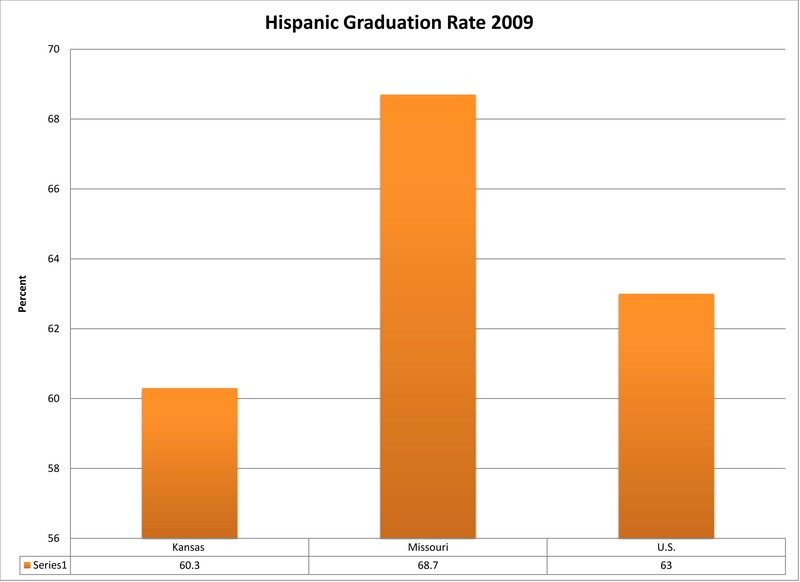 Hispanic students did not fare as well in Kansas as in Missouri. According to the report, the Hispanic graduation rate in Kansas was just 60.3 percent compared with 63 percent nationwide. In Missouri, the Hispanic graduation rate was 68.7 percent, well above the national average for others of the same ethnicity and well below the national graduation rate for all students. Young Hispanic men, in particular, struggle in Kansas. Their graduation rate is even lower than the 58.1 percent of Hispanic males who graduate nationwide. 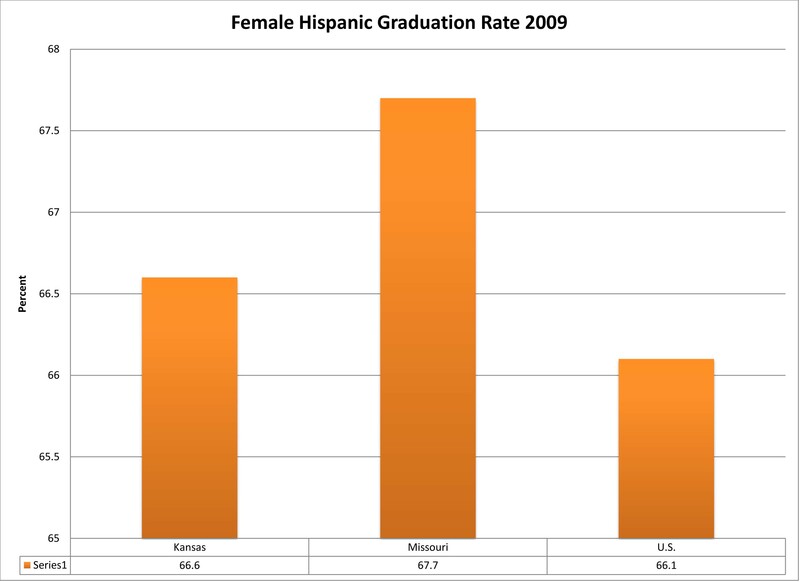 However, the graduation rate for young Hispanic women in Kansas is comparable to the national average. Over the past decade, Missouri’s graduation rate increase for all — not just Hispanic students — matched the national numbers. The rate of increase in Kansas, however, was slower. Nationwide, Arizona’s graduation rate had the highest percentage increase at 24.1 percent, while a few states actually had a declining number of high school graduates. College and career readiness were two other factors analyzed by the authors of the Education Week report. Missouri’s Department of Elementary and Secondary Education does have policies defining what it means for students to be prepared to enter the work world or higher education. The Kansas State Department of Education does not have a policy defining college readiness and is working on a definition for career readiness. Just five years ago, only 11 states had such policies, and now 37 states have them. “While this trend suggests that college readiness is receiving increased attention from policymakers, 14 states have yet to complete the process of identifying the key benchmarks college-ready students should meet,” according to the Education Week report. The Feds have defined for us how graduation rates are calculated so that all states calculate the same way. This started with the last school year. I’m not sure why 2009 data is all you have available. 2010-2011 data from Kansas has been available for a long time. You won’t be able to compare previous years because the calculation methods are different. 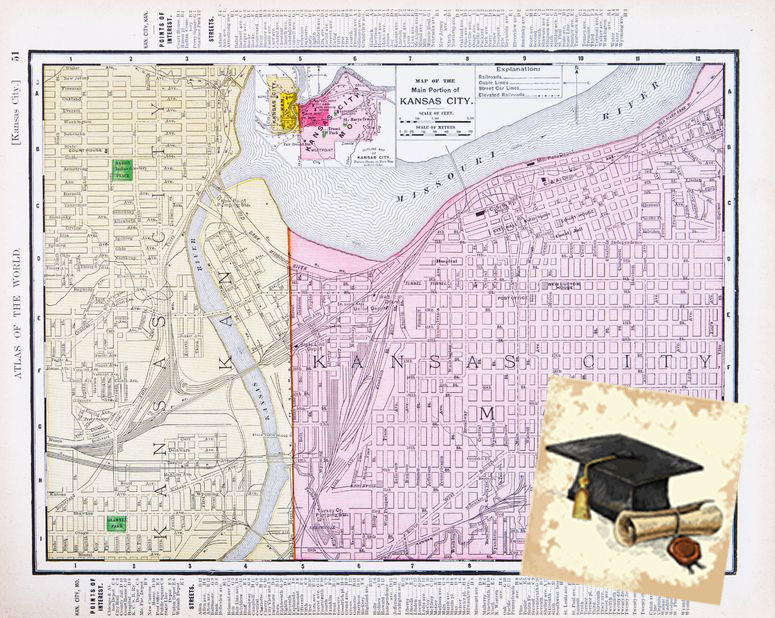 Yes, starting with the 2010-2011 school year, the federal government required all districts to use a common formula to calculate graduation rates. This story was about the Education Week report just released last Thursday on 2009 graduation rates. Education Week uses their own formula to calculate graduation rates, so they are able to compare numbers from state to state and year to year.